Hello all! It's my FAVORITE holiday today! 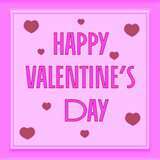 HAPPY VALENTINE"S DAY! I hope everyone remembers that today is about ALL the love surrounding you, not just romantic love. Be thankful for the ones that love you! Love is in the air, and so are the opportunities. Take a look. I found this contest via twitter. If you haven't entered yet, get over to this blog NOW! There are a ton of prizes and all you have to do is be a follower and comment on the blog post with your genre. Entries should be in before next Monday, when the winners will be announced. Agent Natalie Fischer and Agent Josh Getzler will read one query each. Writers in the Storm Blog has an amazing contest going on. You write a blurb of 150 words or less that you think would entice readers/editor to purchase your book. The blurb must be for a completed manuscript. Four finalists will have the opportunity to have their blurbs posted on the website for everyone to see and the chance at getting in front of an acquiring editor. The final judge is Angela James, Executive Editor at Carina Press. For more information click the link below. A prize of $200 and publication in the Washington Square Review will be awarded to a single work of flash fiction or non-fiction. Submissions must be 500 words or less. Contest deadline is Feb. 15, 2011. For official rules or to enter the contest please visit the website. The Packingtown Review will award two prizes for works of flash fiction totaling no more than 800 words. First prize will be awarded a gift certificate to Fogo de Chao, publication in the Packingtown Review, and a Packingtown Review gift bag. Runner-up will receive publication on the Packingtown Review website and a gourmet gift basket. Entry fee is $5 and the deadline is February 15, 2011. Visit the website below for official rules. Sorry for #3 and #4 being so last minute, but I just found out about them today, and I thought you all should know. My 100 FOLLOWER EXTRAVAGANZA is still going on! Enter by the end of the week, and you could win a gift card to Amazon.com $50, $30, or $10. As always, The Black Fox Fiction Contest is going on now. We are also looking for submissions of flash fiction and poetry for a weekly web feature. Visit our site for details! http://www.blackfoxlit.com/. Happy Writing! Happy V Day to you! I know how much you love this holiday. :) And that Back of the Book contest sounds great--you should definitely try out! Thanks for the opportunities as always :) Happy late V Day :) I hope you enjoyed your fave holiday! Wow! You find some great stuff out there in the giant internet!! new follower (found you from #amwriting on twitter) I'll be back for more.